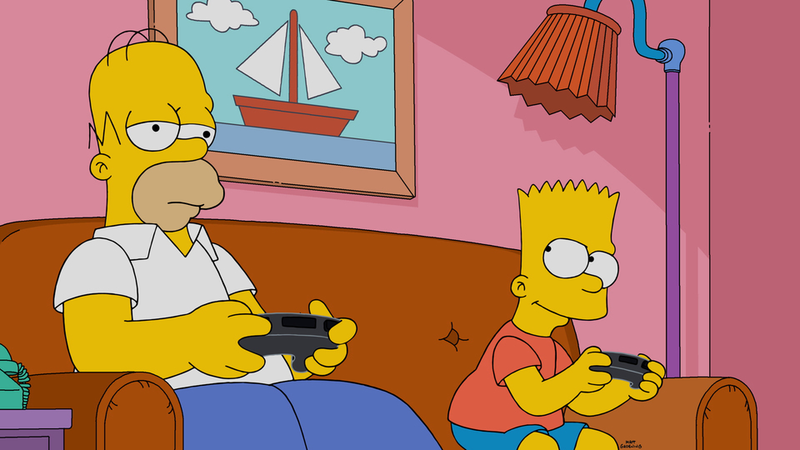 Homer finds a new app that makes his life much easier and outsources his father-son bonding. Meanwhile, Grampa finds that he is about to be father again. Matt Leinart will be guest voicing tonight, as will Dan Fouts. This app apparently must have something to do with NFL quarterbacks, although why they picked a first round hall of famer and a man who was forgotten several years ago is beyond my ability to reason. Enjoy. Some guy will be guest voicing tonight, as will Some other guy. Homer’s face in the still applies to anyone here. Is it just me, or are they getting way lazier with the episode titles this season?